(Hopefully) Most of you know that here at Abyss we run free shore dives every Friday, Saturday and Sunday, for those of you, new or experienced, with or without buddies to come diving with us. BUT we always have a lot of requests for midweek diving from people like us who work weekends (even though you can’t really call our job work!!) but want to go diving mid week. Unfortunately we can’t run dives every single day of the week, but our aim is to make sure that if you want to go diving, YOU CAN! Which is why we have come up with our buddy finder page on Facebook. It’s very simple. Want to go diving? 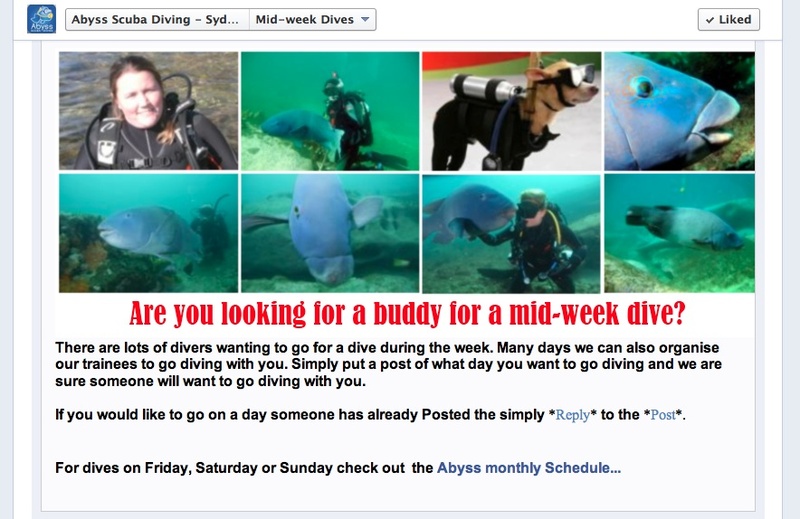 Head to our buddy finder page, check to see if anyone has already posted about the date you want to go diving, if not just write your own post telling us when you want to dive and wait for a buddy. 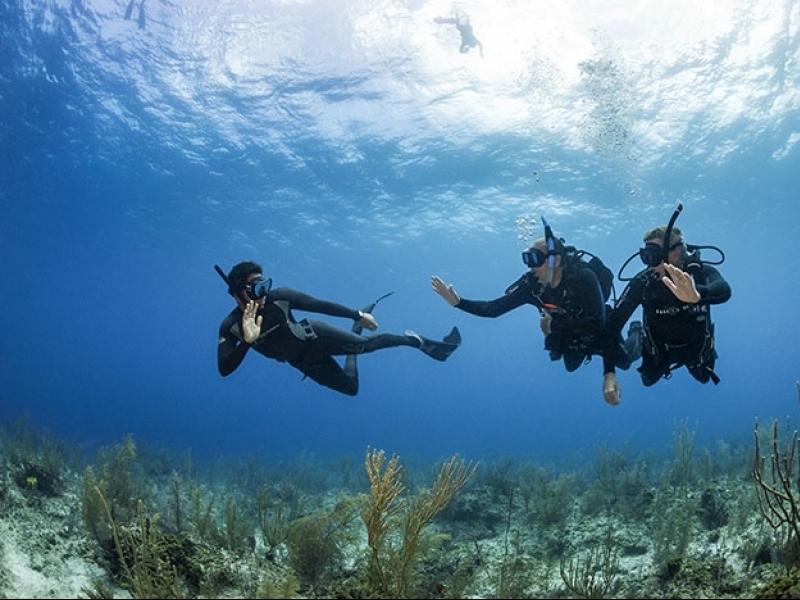 We can even help you pick the best dive site on the day. Once you have decided when you’re going, book your gear online and you’re ready to blow bubbles! 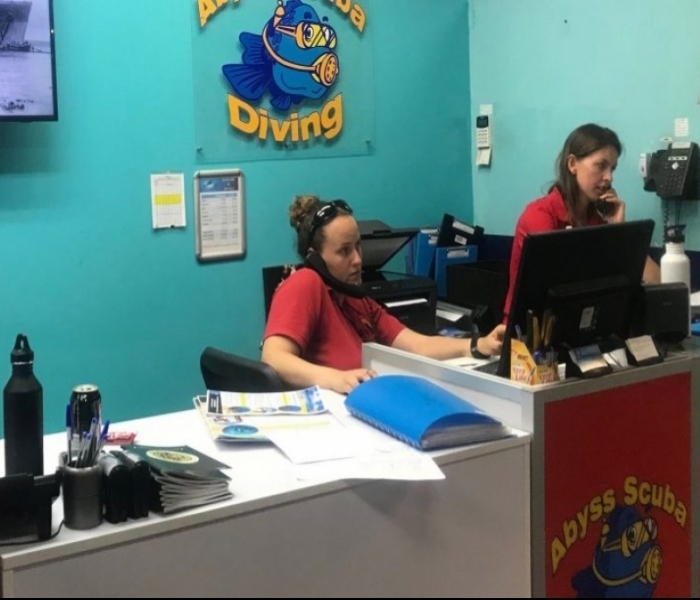 We really hope that this resource can help people get in the water more often, and not have to be restricted to one Sunday every month because they are always working and can’t find anyone to dive with during the week! Enjoy guys, let us know what you think, see you in the water soon!